Users can quickly, and securely, log in with ease-just the touch of the finger or the view of their face if they opt for the IR camera and use Windows Hello. What's more, the fingerprint reader thwarts biometric hacking with anti-spoofing technology-the fingerprint image is saved inside the chip so it's not sent out for login authentication when you sign in. Your data is protected too, with the discrete Trusted Platform Module (dTPM), which encrypts your information. 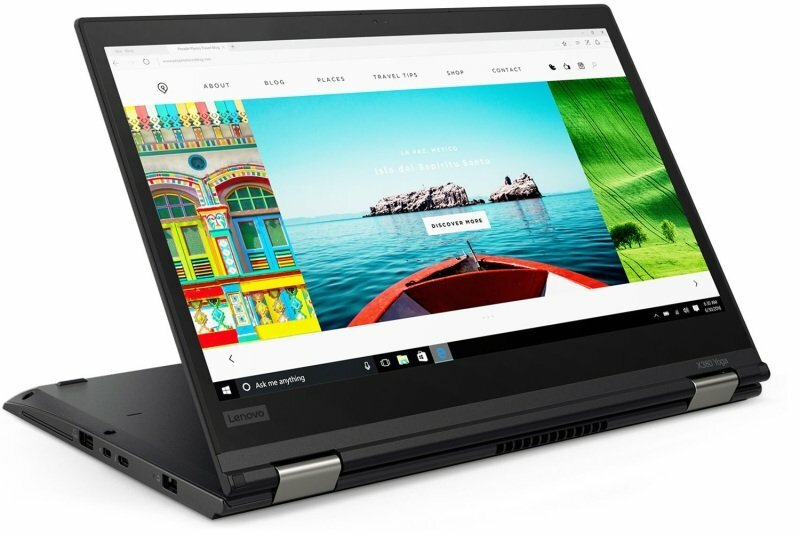 And if that's not enough to make IT administrators love the new X380 Yoga, then its FIDO authentication capabilities will seal the deal. Fast Identity Online-or FIDO-enables hardened authentication that wraps your access info in three layers of security. FIDO authentication pertains to your online credentials, when you sign into websites like Facebook or Google, or make payments via PayPal, Visa, etc. This global solution creates better security for online services, reduces costs for organizations, and is simpler and safer for users. The ThinkPad X380 Yoga delivers **up to 13.6 hours of battery life. And if you're running low, the RapidCharge feature provides 80% capacity in just an hour. So a lunch break or a layover can easily boost your battery **up to 10 hours.